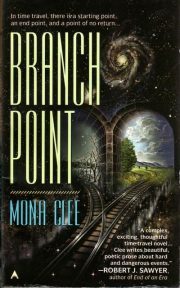 Mona Clee’s 1996 debut novel Branch Point is a product of the mid-nineties, the period after the fall of the Soviet Union and before the endless War on Terror. While it acknowledges the dramatic changes in Russia, its sensibilities remain informed by Cold War anxieties. Given how many nuclear weapons remain (then and now), that’s not an unreasonable stance.